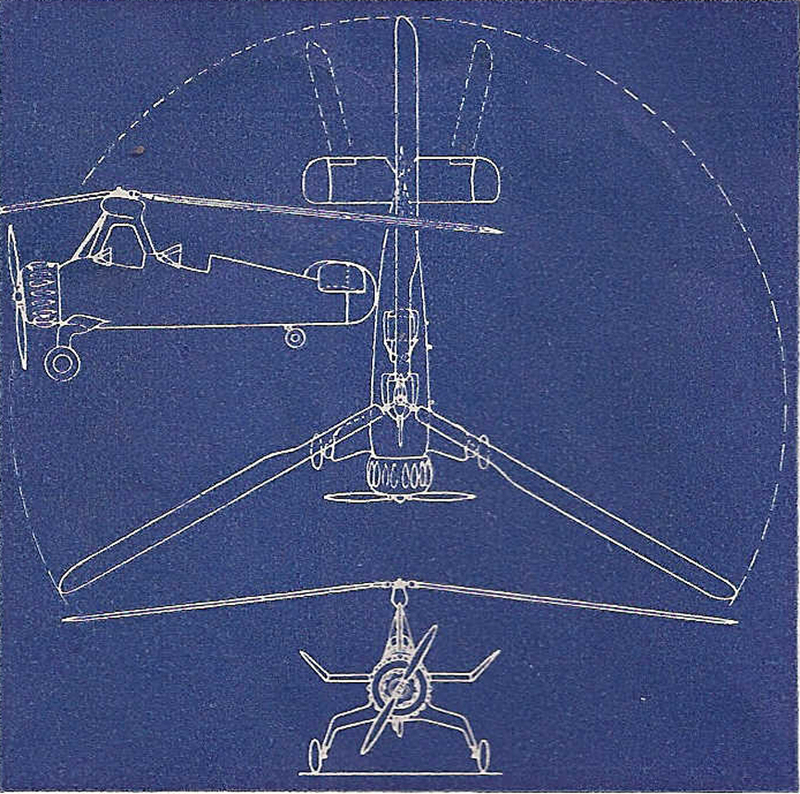 The only autogyro to grace the cover of M.A.N. 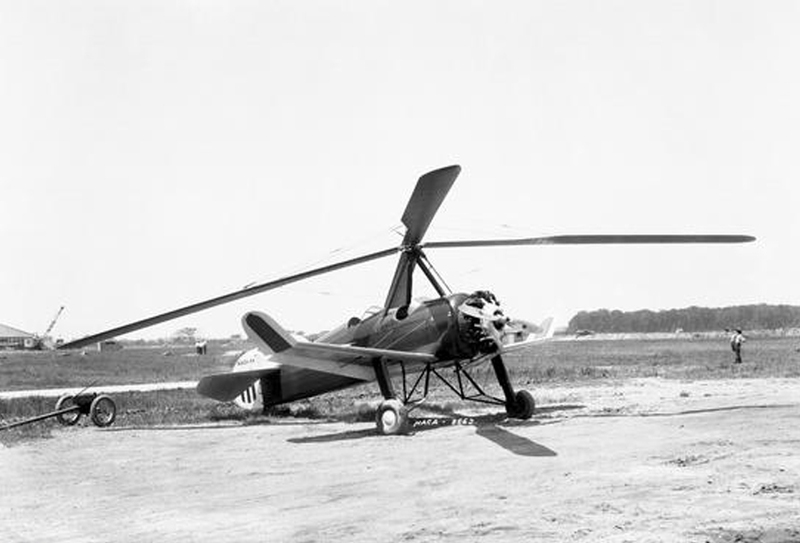 The Pitcairn YG-2 (PA-33) Autogyro was a tWo-place open-cockpit autogiro, a machine that uses the large unpowered rotors for lift and a motor driven propellor to provide forward motive power (thrust). It is similar to a helicopter in appearance, but the autogyro's rotor must have air flowing up and through the rotor disc in order to generate rotation. It can fly very slowly and land and take off in a very small space. Click here for the technical details of the autogyro. 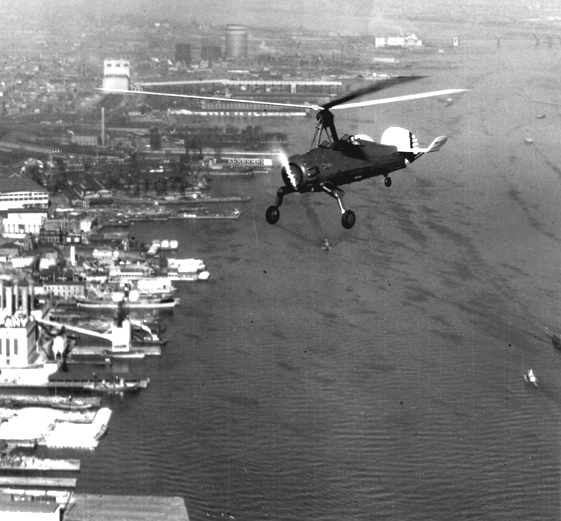 At one time, the autogyro was thought to be the future of aviation, possibly even replacing the automobile. Trendy people were seen flying in autogyros and Harold Pitcairn even landed one on the front lawn of the White House. 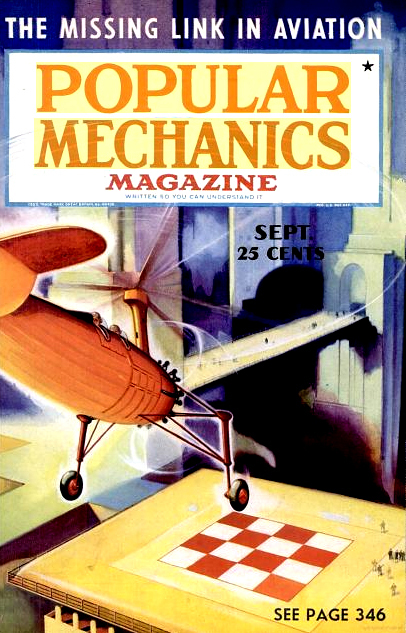 We found a fairly lengthy article about the Autogiro in Popular Mechanics. 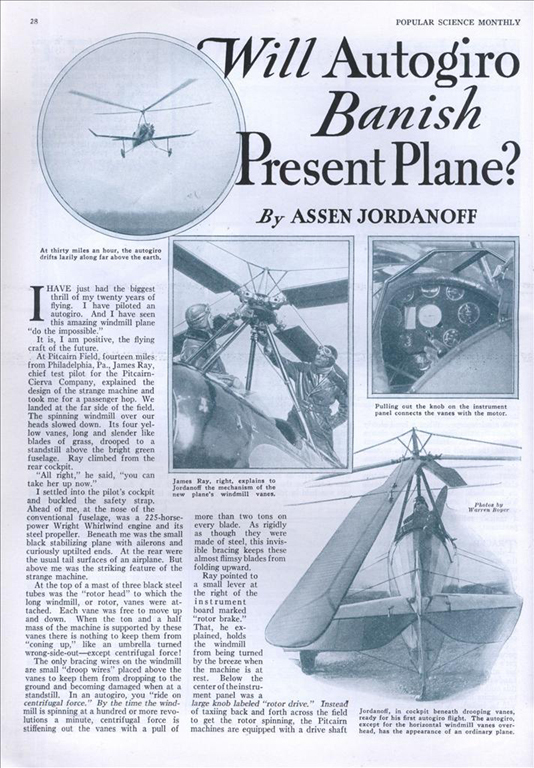 Click here to download a complete copy of "The Missing Link in Aviation"
They were used in the 1930s by major newspapers, and by the US Postal Service for mail service between the Camden, NJ airport and the top of the post office building in downtown Philadelphia, Pennsylvania (USA). Click here to download a complete copy of the March, 1931 article. 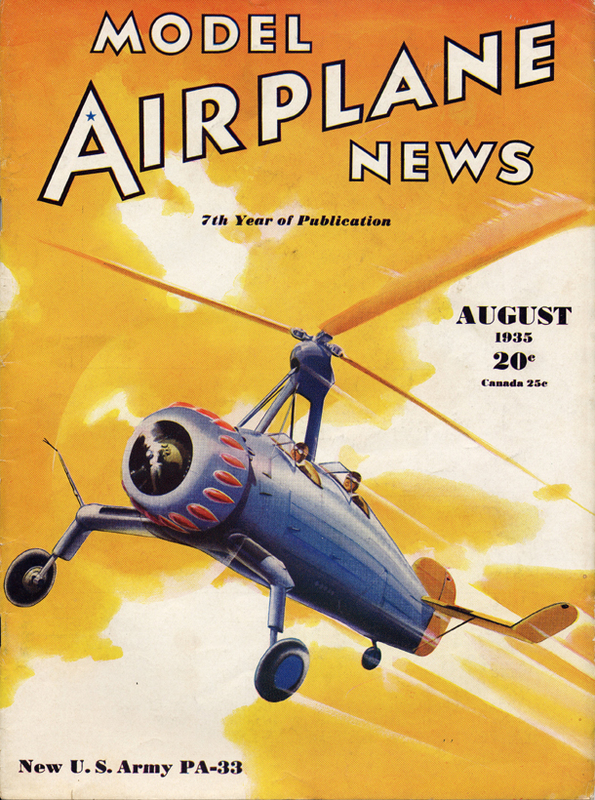 The subject of the August, 1935 cover is the Pitcairn PA-33, a one-off design built for the U.S. Army by the Pitcairn Autogiro Company of Willow Grove, Pennsylvania. 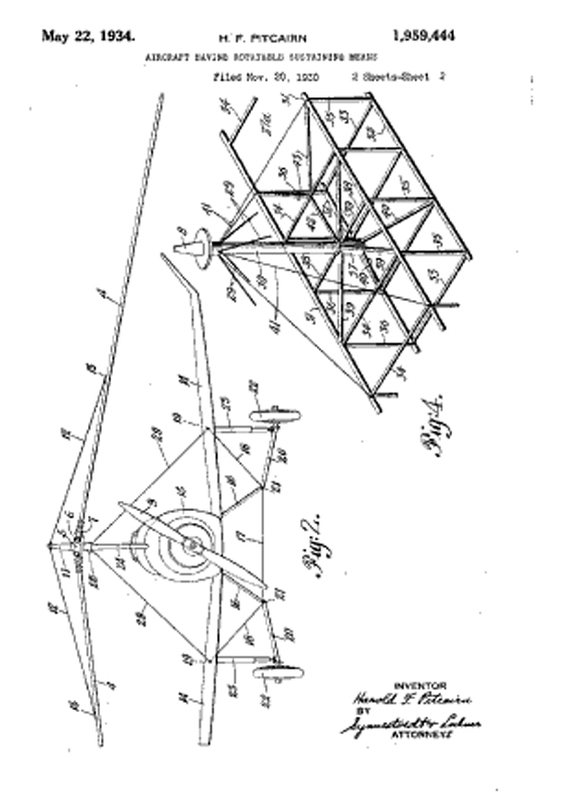 Harold Pitcairn had been involved with the autogyro from its invention by Juan de la Cierva, a spaniard. 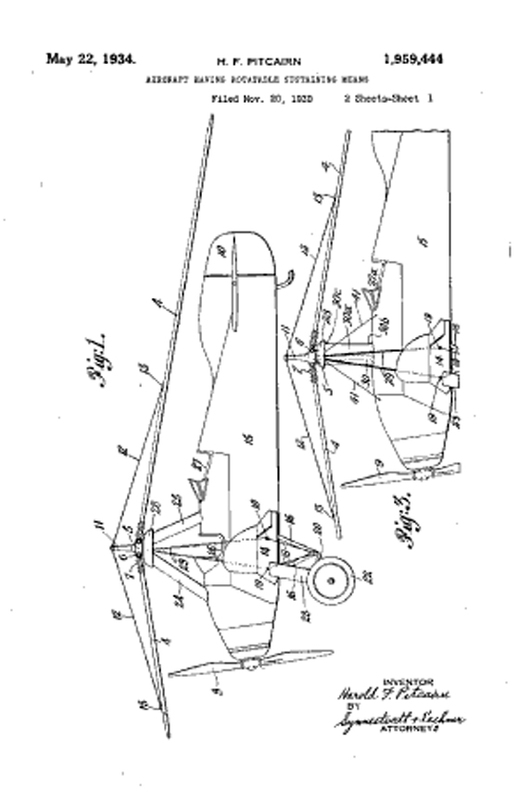 He took out numerous US patents related to solving a variety of propulsion and stability problems needed to bring the aircraft into the mainstream. 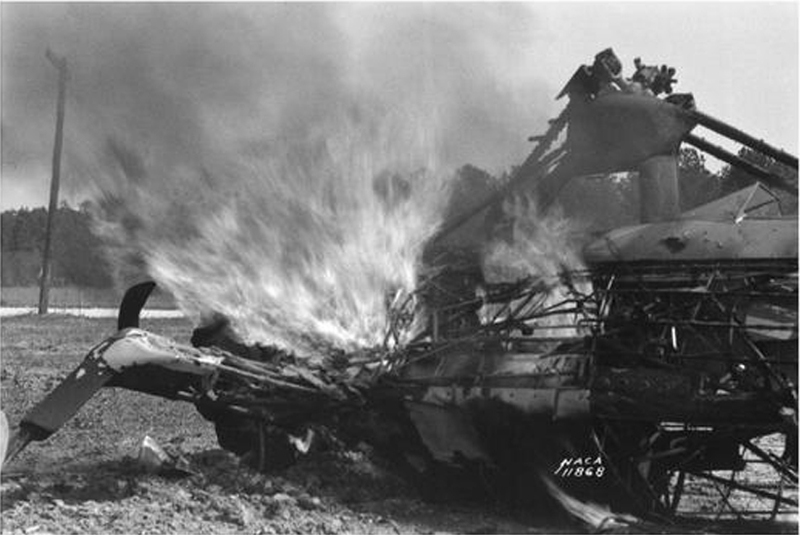 Click Here for more information about the US Army Pitcairn PA-33 Autogiro. Click to go back and select another cover.